Manufacturing Membership. All members of the Conveyor Manufacturing Industry that have had a Presence within the Americas for at least one (1) year shall be eligible to become a Manufacturing Member of the Corporation. Conveyor Equipment Manufacturer. An entity shall be deemed to be a member of the Conveyor Manufacturing Industry if its business or the principal business of one of its divisions is 1) the designing or specifying; and 2) the assembling and manufacturing of unit or bulk material conveying systems, equipment or components for which the Corporation maintains reporting statistics. Monthly Booked and Billed Statistics information in a large number of product categories. This is available only to members that participate in the program. All members that attend the Engineering Conference and/or Seminars receive certification for PE credits. A registration and password protected page of current information for CEMA Members ONLY. At all meetings an additional discount is offered for additional member company’s representatives to attend the meetings. First year’s Membership is automatically reduced by 50% in anticipation of attending one (1) meeting in the first year of membership and participating in the Statistic Program. Belt Book 7th ed and Unit Handling 2nd ed available at discounted rates with company logo. Business and Labor Round Table discussions at CEMA Annual / Fall Meetings. Up to fifty (50%) percent discount off of CEMA Publications and Labels. Business and Labor Round Table discussions at CEMA Annual / Fall Meetings. This reporting method is where you and your competitors give a general report on the condition of their business and is a participation attendance agenda only. If you do not participate you do not attend this portion of the meeting. Safety, Industry Standard Programs that reduce your exposure. E-commerce available for safety labels and publications. Lower costs and increase margins when you ship with YRC Freight, the original LTL (less-than-truckload) experts. CEMA has negotiated special rates for all members on qualifying LTL shipments. Information will be included when you become a member. If you are a member click here to enroll. Network with experts in the conveyor industry. Access to Trade Publication Editors at Annual / Fall Meetings. Referrals and outsourcing from CEMA Member Companies. Member of the leading industry association that represents The Americas Manufacturers and Designers of Conveyor Systems, Sub-Systems and Components. Proudly display the CEMA Member Logo on your Web Site, Marketing Materials (convention booths, magazine and Internet ads) and business cards. First notice of any new publications, industry standards that are being developed, notices of new membership, documents that affect you and the industry. CEMA Manufacturing membership dues are computed on the basis of each member company’s volume of Billed Sales (shipments) for the average of the two preceding calendar years. Dues are expressed in “cents per $1,000 of average annual Billed Sales” for the two-year base period. 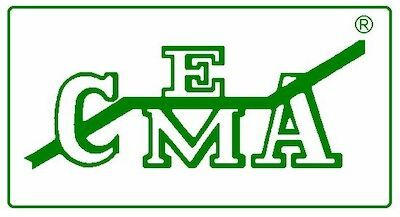 The CEMA Manufacturing Member Dues Rate is 44 cents per $1,000 of average annual Billed Sales for the two-year period. In 2019 – Dues will be discounted 25% for statistics reporting and 25% for participation in at least one scheduled CEMA meeting per year.